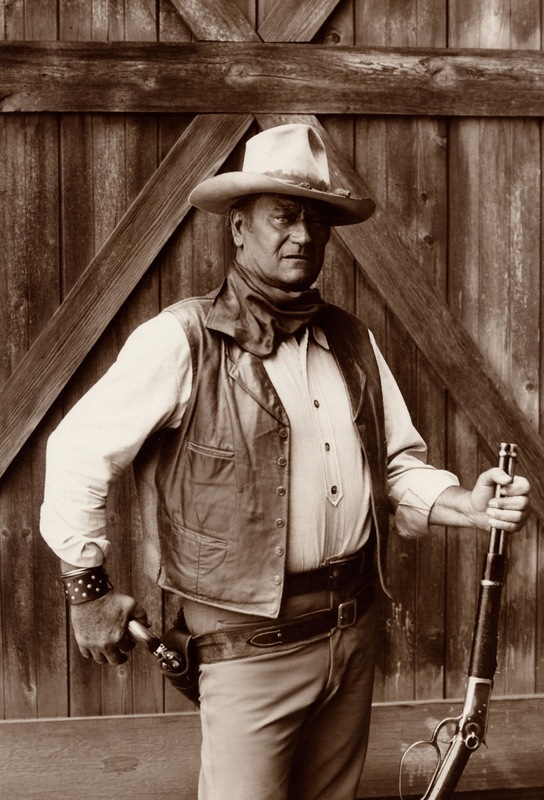 John Wayne was affectionately know by his nickname of "Duke" and was the Archetype for the Cowboy. He remained the top box office draw in Hollywood for three decades. 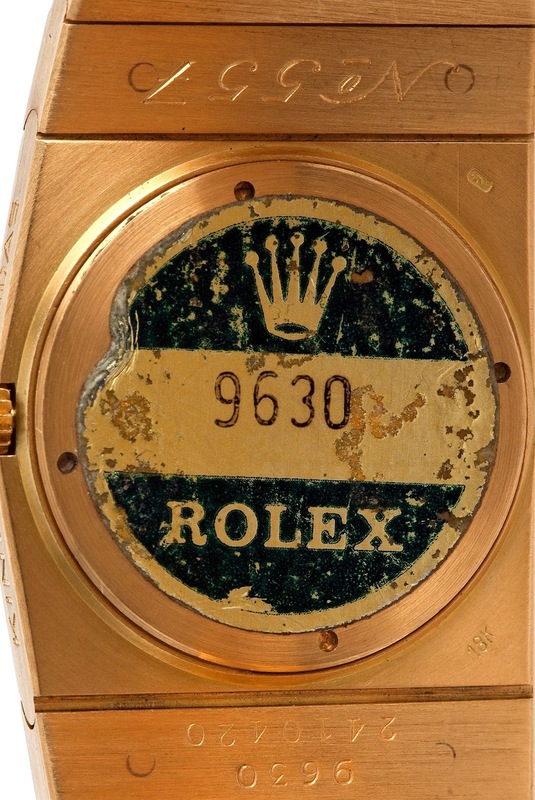 I first learned that John Wayne wore Rolex watches, from non other than former Rolex U.S.A. executive, T. Walker Lloyd. 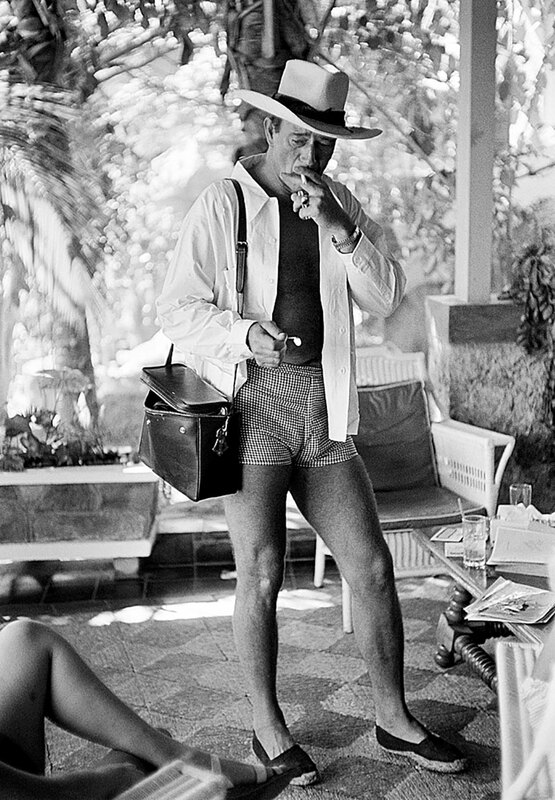 In the four photos below we see John Wayne in Acapulco, Mexico wearing his Rolex Datejust. 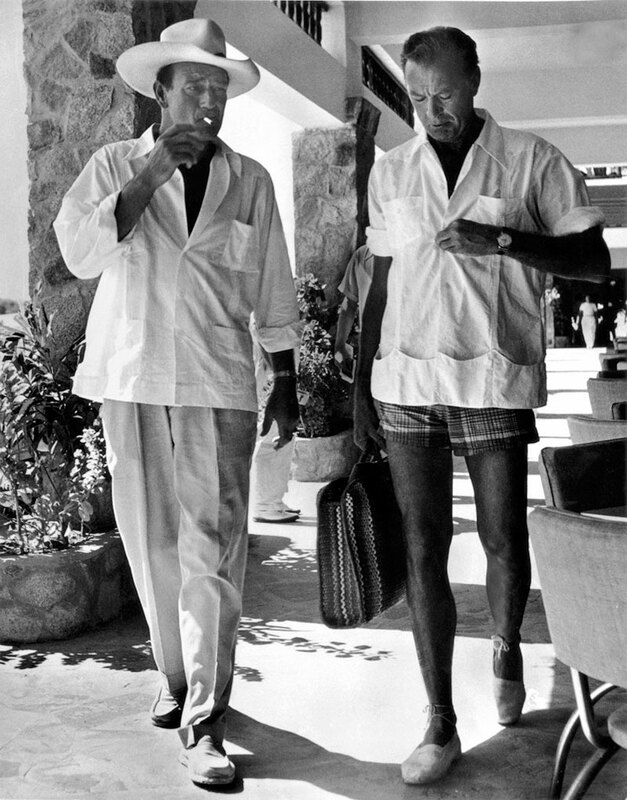 I must admit, that from a fashion perspective today, it is unusual to see men wearing espadrilles, but in the 1950s, is was common in places like Acapulco, Mexico. John Wayne, like his good pal, U.S. President Ronald Reagan, wore his date just with the dial on the palm side of his wrist so in these first photos, all we really see is his Rolex Datejust bracelet. 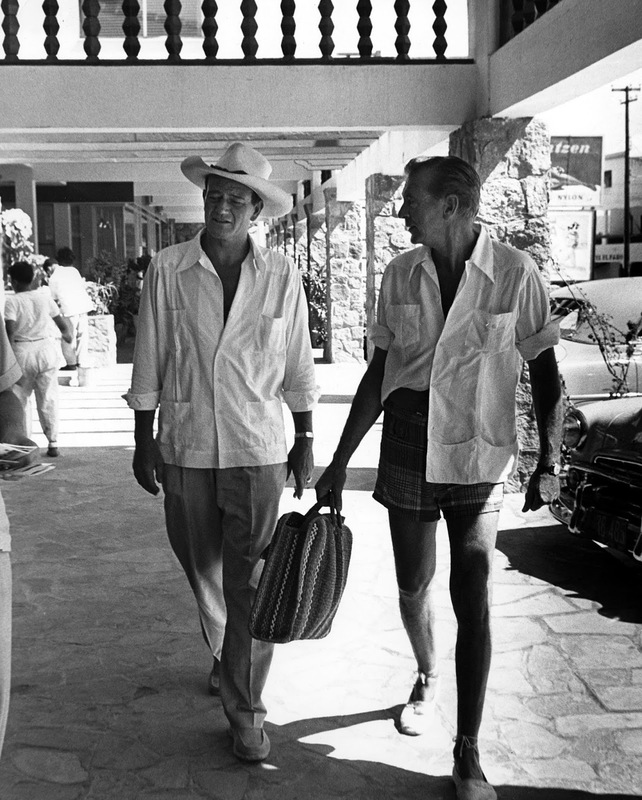 John Wayne owned a resort in Acapulco, Mexico, where he would hang out with his friends, many of which were famous Hollywood stars, like him. In the photos above and below, we see him walking with Gary Cooper. Gary Cooper was also one of Hollywood's leading men, and was also a huge cowboy archetype. Gary Cooper's most famous role as a cowboy was in the Hollywood blockbuster film, 'High Noon'. 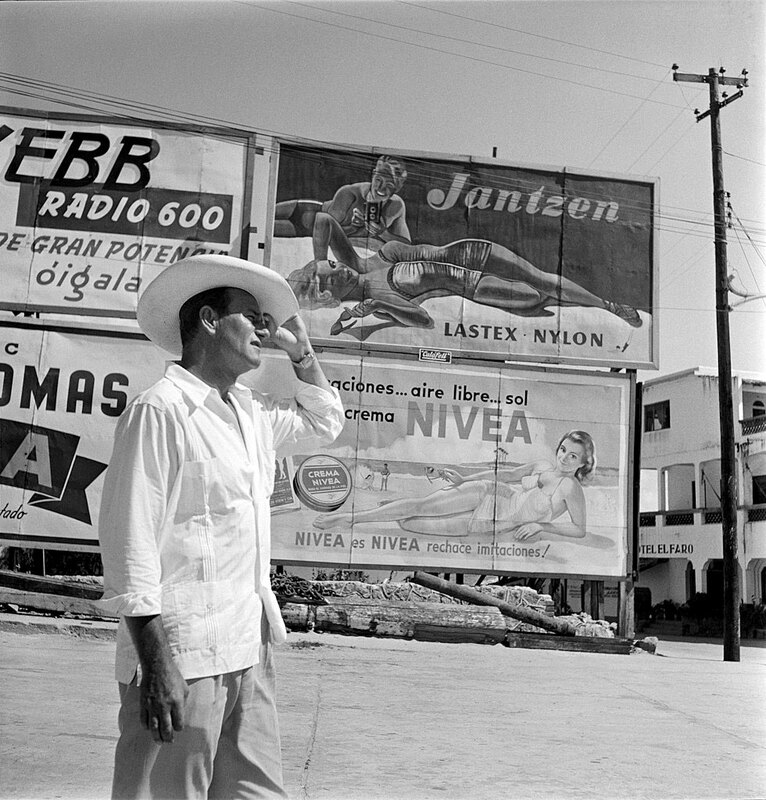 In the photo below we see John Wayne in Acapulco, Mexico wearing his Rolex Datejust. 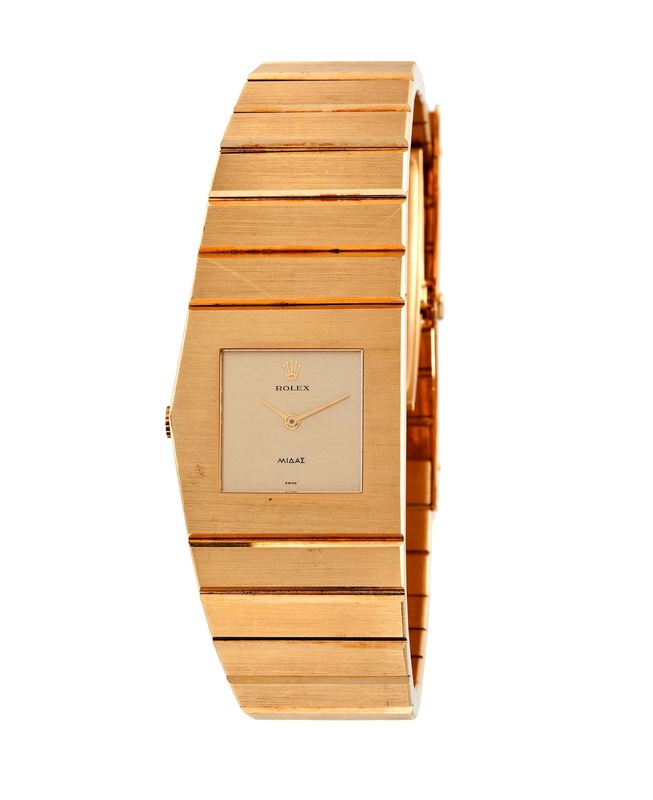 John Wayne also wore an original 1967 Rolex King Midas, which is pictured below. It was auctioned by Heritage Auction house in 2011. 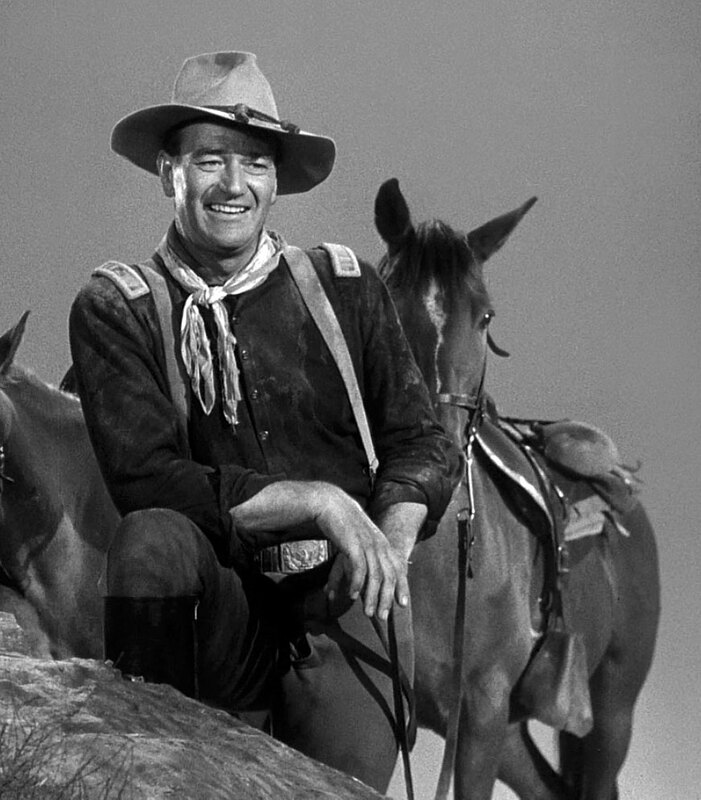 John Wayne was loved by women and men. In many ways, John Wayne was the epitome of a A Masculine Actor, and he was friends with all of Hollywood's leading men. 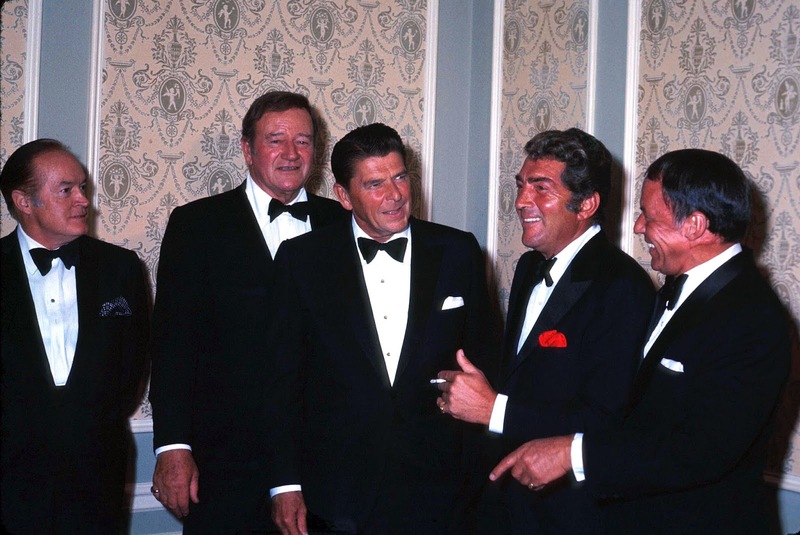 In the photo below we see, Rolex wearer Bob Hope, John Wayne, Ronald Reagan, Dean Martin, and Frank Sinatra. 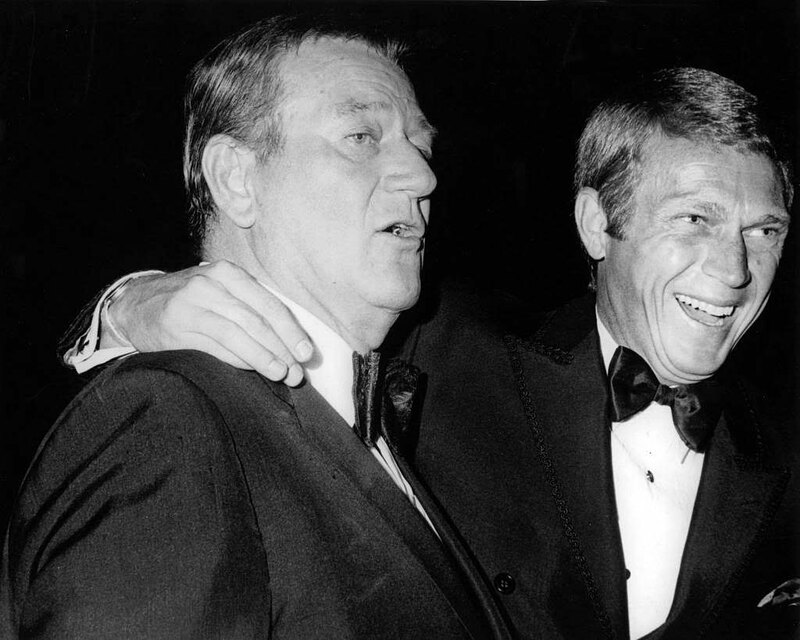 John Wayne was good pals with fellow actor, Steve McQueen. This is kind of profound as Steve McQueen did not look up to many people, but John Wayne was his idol. 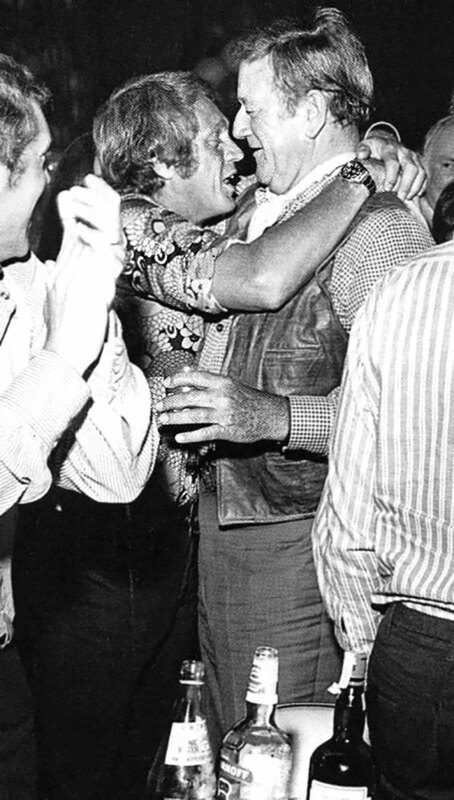 In the photo below we see Steve McQueen hugging John Wayne, and notice Steve McQueen is wearing his trademark Rolex Submariner. 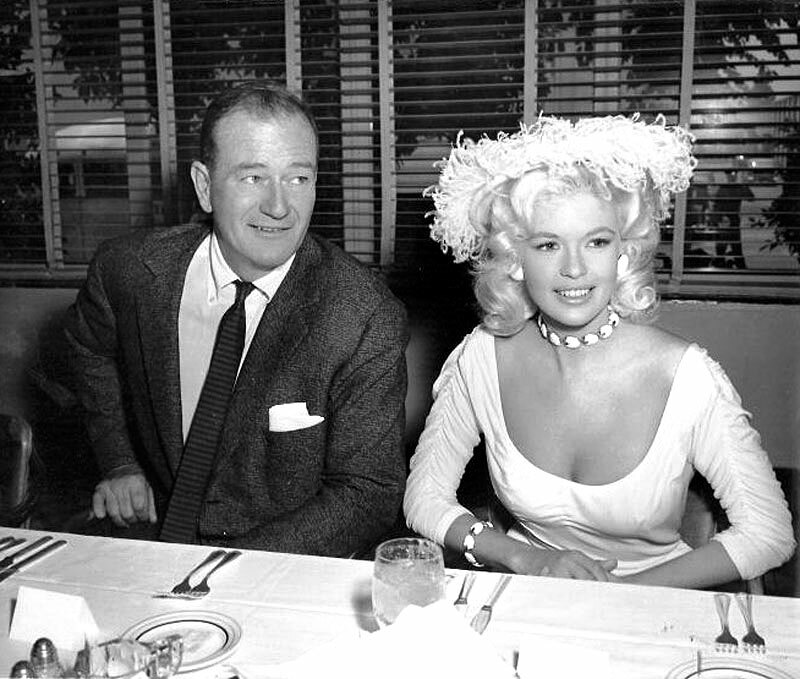 John Wayne is pictured with the gorgeous Hollywood actress, Jayne Mansfield.